Slowly but surely, Apple’s new CarPlay dashboard experience is coming to fruition. Pioneer has announced its first stereo that supports the platform out of the box, as well as a firmware update that will bring the experience to a further five. The new dashboard is called the SPH-DA120, and the firmware update will hit the following models: AVIC-F60DAB, AVIC-F960DAB, AVIC-F960BT, AVIC-F860BT and AVH-X8600BT. If you own a Pioneer stereo, you’ll probably need to dig out the box to check its model number and see if it’s made the cut. 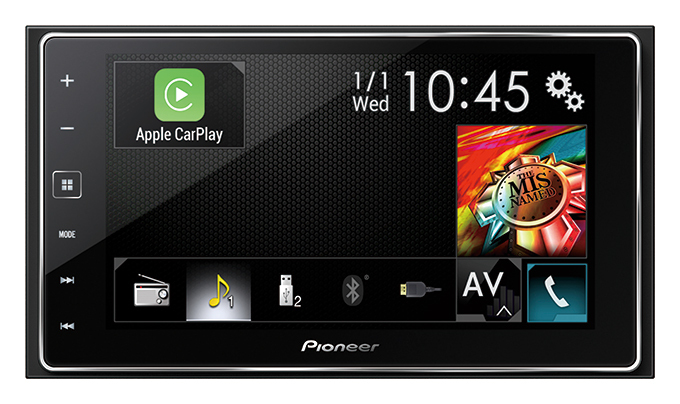 A number of app developers have backed CarPlay, but Spotify is one of the first to roll out support. An update hit its iOS app today, which means you can connect your iPhone and play music with the large, driver-friendly controls. Aside from the Ferrarri FF (which I suspect is out of most people’s price range) we’re yet to see many vehicles with CarPlay built-in. A number of manufacturers have committed to Apple’s new platform though, including Nissan, Volvo, Fiat Chrysler, Chevrolet, Peugeot and Toyota, so it’s only a matter of time.